- E5-2609 V3 in the system that works, unable to get E5-2680 V4 Engineer Sample to work. Can you boot your ES CPU on other motherboard? Did you tried to boot it with BIOS version 3003 and 3107? 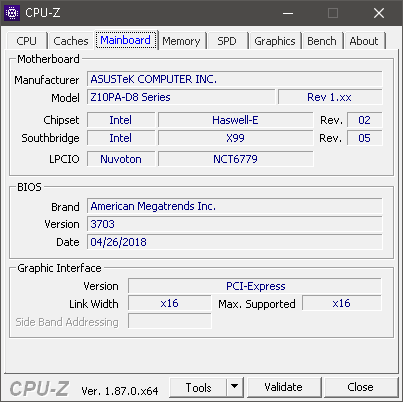 (01-16-2019, 04:25 AM)DeathBringer Wrote: [ -> ] Post screenshots of first (CPU) & third (Mainboard) tabs of CPU-Z with supported CPU. I unfortunately have no other motherboard to test with, reading ebay posts they say the cpu is compatible but dont mention which stepping. 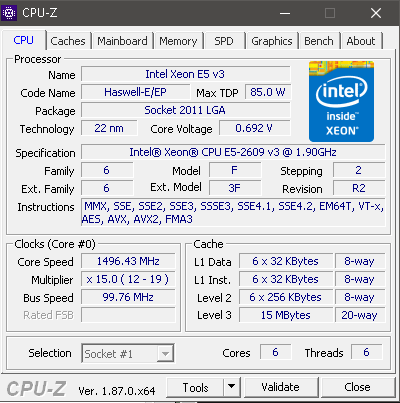 Run MEInfo from Intel ME System Tools v9.1 r7. (01-17-2019, 12:02 AM)DeathBringer Wrote: [ -> ] Flash BIOS version 3003. Error 0099: Unknown error code"